Electric wheelchairs are becoming more popular and top choice over their manual counterparts. The reason for this is really simple. When you consider the great benefits that come with using such a great product, it is easy to understand why they are becoming more accepted. Some of the high points of the electric wheelchairs are the ease of use, personal convenience, advanced features, and ease of maintenance. Of course, these benefits didn’t come without a cost. These come with more expensive price tags when compared to the manual wheelchairs. When it comes to choosing the best electric wheelchair, the first thing to consider is your personal needs. Wheelchairs should be chosen based on their functionality rather than their aesthetic values. A point of note though, this does not mean that aesthetic values of the wheelchair is not important. However, the first factor that should be considered before anything else is its functionality. As mentioned earlier, the first factor you need to consider is your personal needs as well as the level of assistance you need. First, consider your physical limitation and the terrain or surfaces that you will regularly use the wheelchair on. Putting these into consideration will help you know what to look out for in terms of features and accessories. Apart from your personal needs, one other important factor to consider when making a choice of electric wheelchair is your budget. As a matter of fact, this is the second most important factor to be considered. Before you head over to the shop, you should make up your mind about how much you will be willing to part with to purchase a pair of wheelchair. Currently, the price range in the market is between $5,000 and $15,000. There are also some that are priced as high as $35,000. Your budget will determine the kind that you can afford. The major differences between the low priced and high priced electric wheelchairs are the technological investment, accessories, features, etc, that have gone into their production. It is important to mention at these point that many of the features and accessories in the fancy wheelchairs are not crucial to their functionality. So when you are making your decision on the type of wheelchair to buy, you might want to choose the one with features that you really need rather than choosing a pricey one with unneeded features. When it comes to features that are important in an electric wheelchair, it is often dependent on the user’s physical needs. How long will the user spend on it on a daily basis? What are the movement challenges of the user? How convenient should the wheelchair be, especially if the user will be staying on it for a long period at a stretch? Remember, the reason for buying a wheelchair in the first place to provide the best assistance and improve mobility of the user. You therefore must consider purchasing an electric wheelchair that has intuitive control system as part of its feature. With this, the user will find it easier to carry out basic functions and commands that will require only the upper part of their body or their head. Having looked at the different factors that should be considered when making a choice of electric wheelchair, let’s look at the different types of wheelchairs that you can choose from. As mentioned earlier, there are different features and accessories that come with the different wheelchair but before you make your decision, first consider what is the most needed features. Power wheelchair is a name generally used for electric wheelchairs. These are often recommended for individuals who are physically incapable of self-propelling a standard manual wheelchair. The power wheelchairs blend luxury and functionality to provide an exceptional driving experience for the user. The power wheelchairs are designed for great manoeuvrability and high performance for indoor and outdoor mobility. For more information about Power Wheelchairs，please check out customer reviews on Amazon. This is a more sophisticated version of the power wheelchair. The recline power wheelchair comes with a better manoeuvrability and provides higher level of stability to the user. 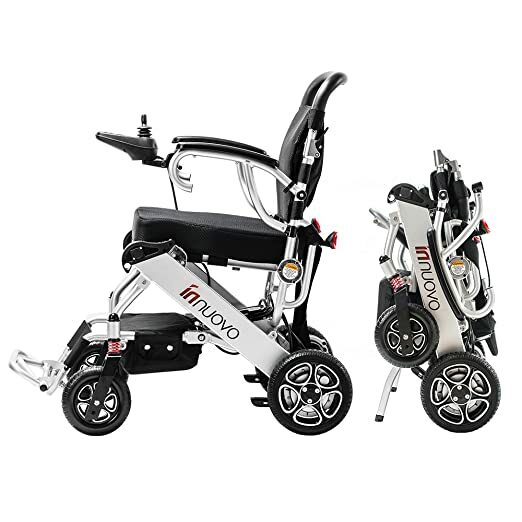 It comes with high performing functionality that is designed to improve independence and comfort. One important benefit of this type of electric wheelchair is its ability to improve user’s postural alignment, relief pressure at contact point, and torso stabilization. The reclining power wheelchair enables independent transfers and weight shifts without need for any assistance. It also encourages circulation, better respiration, and digestion. For more information about Recline-Tilt Power Wheelchair，please check out customer reviews on Amazon. Permobil electric wheelchairs are known to be the highest quality chairs. They are built for style, impeccable manoeuvrability, and durability. They are usually customized with custom-made seating system to suit specific needs of the user. This category of electric wheelchairs is well recognized for high quality, safety, performance, and functionality. For more information about Permobil Wheelchairs，please check out customer reviews on Amazon. 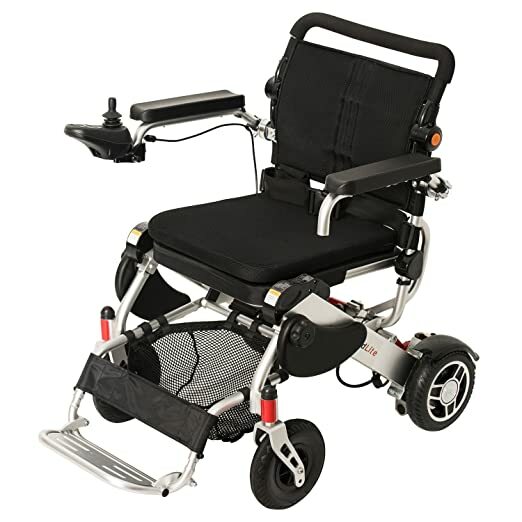 For heavy weight users, the heavy duty electric wheelchair is the perfect option of wheelchair to go for. It is designed to enable users move independently with little strength and stamina. These are very durable and have the capacity to hold a weight of up to 650 lbs. They are custom made with perfect mobility outfit that makes for secure and effortless movement all through the day. For more information about Heavy Duty Electric Wheelchairs，please check out customer reviews on Amazon. The standing electric wheelchairs are designed to help users stand up and reach out further to carry out some basic everyday activities. It enables them to be able to stand a bit longer than usual so that they can be more active and get more out of life on a daily basis. The standing electric wheelchairs are lightweight, reliable, and very easy to move around which offers the user better opportunities to explore their surroundings without assistance. They offer control and freedom to the user. In addition to this, they help to remove unnecessary lifting, enhance digestion, pressure management, circulation, and bone development. For more information about Standing Electric Wheelchairs，please check out customer reviews on Amazon. Standard electric wheelchairs enable user to seamlessly propel the device without getting exerting their upper bodies or getting tired. They have the capacity to sustain up to 450 lbs in weight and they are customized according to the user’s need. The wheelchair comes with better manoeuvrability and stability for excellent performance for both indoor and outdoor usage. For more information about Standard Electric Wheelchairs，please check out customer reviews on Amazon. Portable electric wheelchairs are flexible and are designed to fold into little space. They are easy to move around, and in and out of the trunk of a car. These are perfect for individuals who are frequently on the road and need to have seamless movement in spite of their disability. They are versatile, portable, stylish, and comes with greater manoeuvrability. It is absolutely a perfect choice for travelling. Interestingly, it is also amazing for use at home. For more information about Portable Electric Wheelchairs，please check out customer reviews on Amazon. All Terrain electric Wheelchairs are designed with excellent off-road capability and perfect stability. They can be likened to your die-hard truck that can weather any terrain and still come out strong and sturdy. These are designed to move seamlessly in dry sand, rocks, deep mud, loose surfaces, undergrowth, and snow. Their excellent off-road abilities allow for smooth and seamless ride due to large batteries and low tyre pressure and are absolutely built for longer distance. For more information about All Terrain Electric Wheelchairs，please check out customer reviews on Amazon. There are numerous accessories that come with electric wheelchairs. Some of them need to be replaced to enhance the functionality and lifespan of the wheelchair. Some of the accessories include joystick handles, charging adapter, joystick mounts, batteries, and trays, among others. It is important to keep the accessories in top shape just as you would the wheelchair itself. Looking at the different types that are available in the market, it might be a little daunting making the best choice. When making your choice of wheelchair, it is important that you do a bit of research before making a choice, especially if you are a first time buyer. You are obviously not the first to purchase an electric wheelchair so you can always learn a thing or two from others. Before you go ahead to make your research,first outline the features you need based on your physical needs. The next step is to check the different brands that have the features you are looking for. It is important to mention that there are different brands of electric wheelchairs and in most cases; the prices are dependent on the brands you opt for and not necessarily because of the functionality or features of the electric chair. As mentioned earlier, you don’t necessarily need all the fancy features in an electric wheelchair. Knowing the features that are important to you is therefore important so that you can cut down on unnecessary expenses. In summary, electric wheelchairs are definitely more in demand than the manual wheelchairs and the reason for this is basically due to the amazing features that come with them.